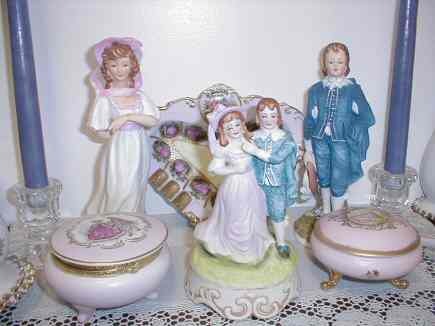 Rose Baby figurine KW1699N-A Discounts Apply ! 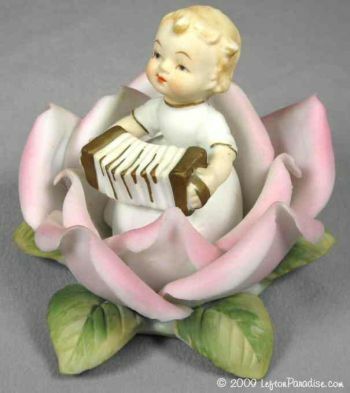 Lovely little girl playing a concertina while sitting in a rose. Wonderfully sweet and delicate, it has no flaws. 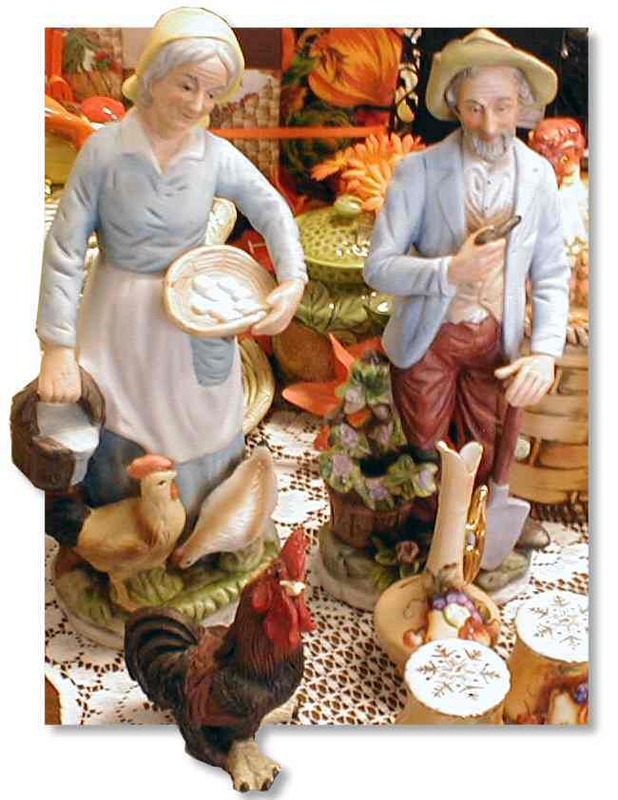 The figurine is 3½ inches wide and 3 inches tall. It bears Lefton number KW1699N-A, has a crown logo and sticker, which puts its manufacture in the mid-1960s. 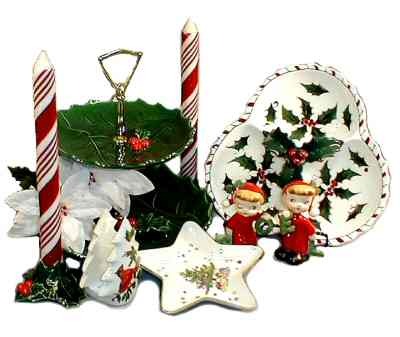 An excellent example of handcrafted decoration for which Lefton is prized!